Our shop is tucked away in an old industrial area, called the International Harvester complex. 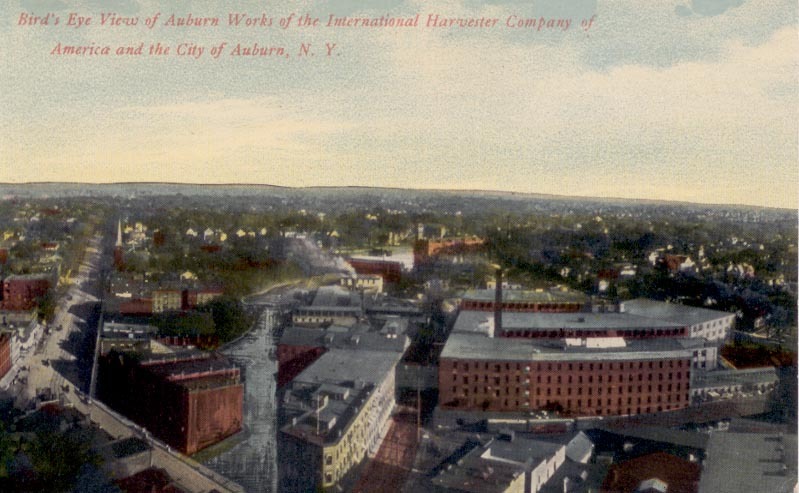 The complex was once a mecca of industry, manufacturing farm machinery during the Industrial Revolution that spread across the Finger Lakes, and much of America. During the second world war, airplane parts were made here. Now, there’s but one building left, housing a variety of businesses. Talic Inc has it’s own building, tucked over to the side, and we love it here. Close to the city, but removed from city hustle and bustle, too. We have deer, woodchucks, skunks, and one day a red fox came to snack outside my window. I especially like watching the crows come for their daily handout. So, you would think that we wouldn’t get very many visitors, we aren’t a store front after all. But visitors we do get, and they come to visit. It reminds me of a local barbershop, or a neighborhood corner store. People stop in to say hello, pass a few minutes to break up their day. Today we had a couple come who I had met over a decade or so ago while working at the Public Library (20 years there!) Well into their eighties, they stop every now and again, just to say hello. I love their stories – Bob was a farrier in New York City, back when horse and carriage still graced the city streets along with Central Park. Anne was a school teacher. She should be a writer – that woman can spin a story!! I never know what the topic of the day will be. Today she came just because “they were passing by.” It had been quite some time. We started talking about writing down stories, which led to genealogy, adoptions, and found relatives. Before they had left, we had discussed our thoughts on the Catholic Church, how in Germany during WWII you could get 2.2 pints of beer, and the Chaplin could find you “clean women.” The Chaplin!! I love visiting with people like Anne and Bob. I am a people person. I treasure their stories, and feel honored to be on the receiving end. Anne tells me I am a good listener. They leave, feeling a little bit better about their day. I go back to work, feeling a little bit better about mine. I think it’s the human connection, having shared with one another. And, you never know where those conversations may go. Anne and Bob’s son Seth is a custom woodworker. One day, he stopped by, introduced himself. Anne had mentioned us in a passing conversation with him. He needed a little CNC work done for a special project he was working on. Tim was able to do the work. Seth’s customer was pleased, Seth was pleased. And Tim was pleased to help. All because a very long time ago, I had a friendly passing conversation with a patron at the library. Life is full of connections and diverse pathways.